The deets: Seraphine dress; Banana Republic wedges (these are similar and adorable for under $35); Kaanas bag (might be sold out, but this is the exact same one in pineapple, also how cute is this one); Chanel sunnies (found on eBay, similar for $10). 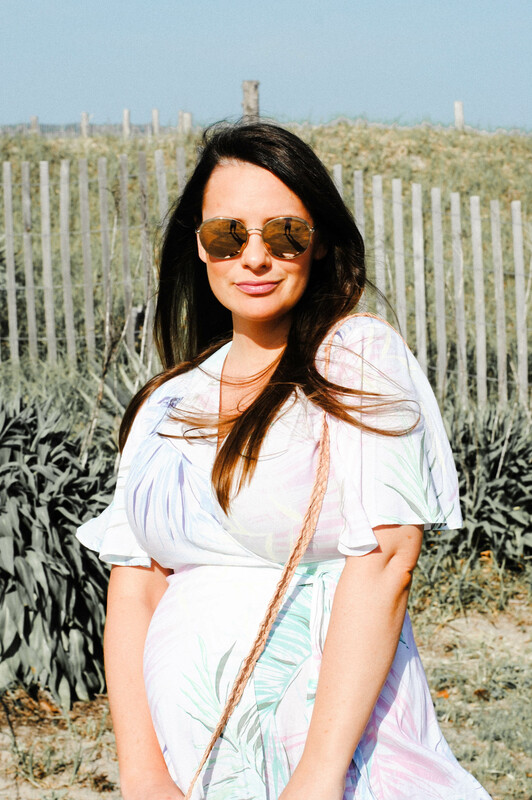 This dress and it's pretty palm printed tropical vibes is actually maternity (I don't know when I will stop being surprised when maternity things turn out to be actually cute)! 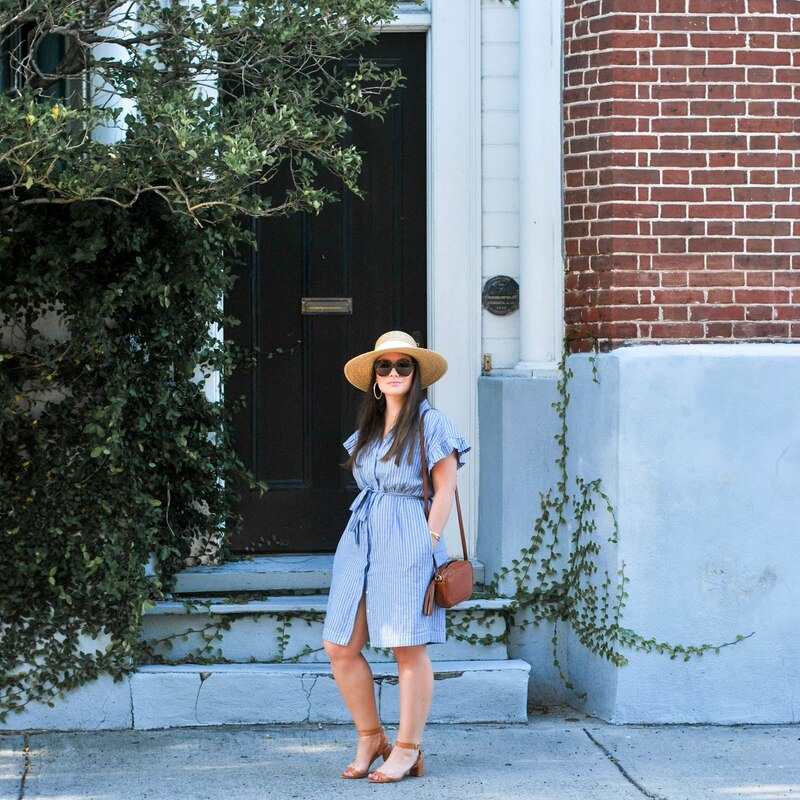 I have blogged Seraphine dresses before and honestly the brand has been my go to place for slightly fancier styles (and by "fancier" I mean able to wear to work or a date night..or basically not pajamas). I wore this last weekend at the beach to our big group dinner. It couldn't have been more gorgeous Summer weather which was such a treat bc Memorial Day weekend can be hit or miss. I really felt like I was LIVING MY BEST LIFE and felt so like myself in this outfit (and the whole weekend) that I basically forgot I was pregnant, which was great. Sometimes you just don't wan't to feel pregnant. It's not always the most magical experience for every person and that is ok - sometimes it's just your regular life with a little more pudge and stress and a little less fun and cocktails. I read this article today and it really struck a chord with me about being honest about this experience as a blogger. While it was super easy for me to get pregnant - I had a very intense first trimester and even after coming out of that fog I haven't had that magical glowy feeling, and that's fine! Feeling happy that I can at least still give myself a chance to dress up my new and changing bod with some cute maternity options. I can honestly say that aside from the actual spending (which has been in excess fo SHO) it's been kind of fun to create a whole new wardrobe for this little phase of life.